Replica components for your high fidelity simulators and trainers. Dummy ammunition, flight simulator cockpits, ejector seats, other simulator hardware and more. MSE offers a wide range of equipment replicas for different purposes. Contact MSE for further information and enquiries for your needs. Exact replica of the ejector seat in the Gripen fighter. 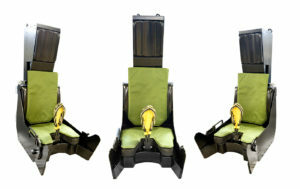 Characteristics, such as seat stiffness, tactile feel in handles and switches and firing handle response are very similar to the original seat. 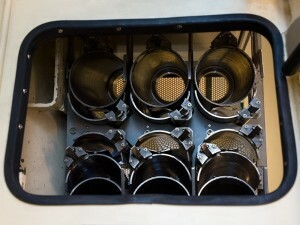 Single and double seated Gripen cockpit replica for use in dome simulators. 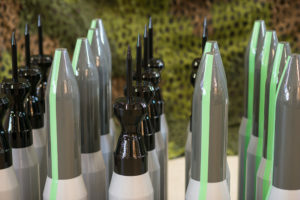 The dummy ammunition is a part of MSE comprehensive range of training equipment. It is intended for the training of the logistics support chain. The dummy ammunition has exactly the same properties as the ”real” type. The weight, center of gravity and dimensions are exactly the same. It is manufactured with a glass-fibre reinforced shell withstanding rough handling in the field. The ammunition may be used through the complete support chain. All way from storage, via transportation and magazine, all the way to the weapon. It may even be loaded into the barrel. 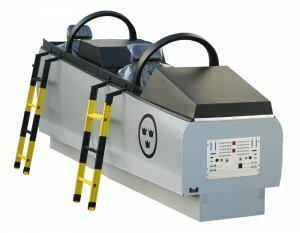 Designed to withstand the heavy wear and tear training equipment is exposed to.